Ugggghhhh another one bites the dust. Why is it so hard to find a good YA? And especially a YA mixed with Paranormal. I feel like they are a rare jewel and I have had limited success. I had a small bit of faith for this one, but yeahhhhhh...no. This is a mix between Harry Potter and Xmen. Rae is tossed into a world of people with superpowers all going to school to master their powers. 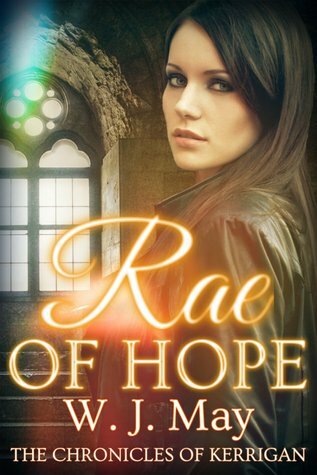 Rae is a girl who was orphaned at a very young age and raised by her uncle and aunt. For some stupid reason, they don't tell her about her powers that would be coming when she turns 16 until she is 15 years and 10 months old. Like...really? SMH. Well - they still don't say anything. She is dropped off in this school and she is told by complete strangers. Because that all makes sense. The concept was interesting and I loved the whole tattoo and superpower idea. It was fun. I really just wanted to know what her power was so I kept reading and reading. It took forever and a half to find out. Throughout this whole journey, I wanted to claw my eyes out The grammar was to be desired. The metaphors and similes made me want to hurl. The writing style was that of a 10-year-old girl. It reminded me of my early writings of my youth before I realized that you don't need to list every single thing that someone is wearing and spell out every single thought the main character is thinking. "...sparklers. Cool trick! I gotta show Molls….oh wait…shoot. She didn’t know if Molly knew and the only way to find out would be to ask her. Hmmm… or maybe show her! Molly had been so nice to invite her here, and what if Molly didn’t get what the loser-dean had said and she heard it from someone when she got back from school"
The italicized parts are snip-bits of inner monologue of the main character. Sighs. Why did I keep going? I am not sure and I asked myself at the turn of every page and cringe-worthy moment. I think my main thing was that I wanted to find out more about her power and I oddly liked Molly. Don't ask me why, but I really liked her and her family. I think Molly deserves a story because there is a glimmer of hope in her. She was pretty 2D for the first half of the book, but there is something there. Too bad Rae is so self-centered and self-absorbed that she is stuck in her own world and doesn't care what other people think or feel. Sorry....I was not a fan of Rae. In the end, this was......something else. It was a good idea in theory, but the execution was poorly done. I felt like this was a 10-year-old's attempt to share an epic tale. I do not recommend this to anyone. I'll give this 1 star. I think I would have had to just give up. B, I don't know....for some reason I kept going. Carol, it was so bad. I should've let it go. Anachronist, I really feel like the genre is not the same of how it used to be.